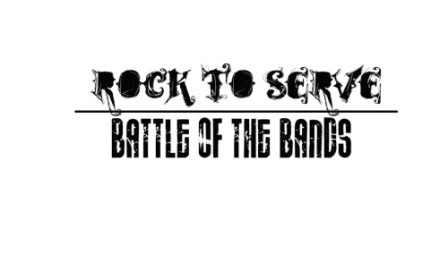 Rock and Serve at the Same Time with Rotary Club of Marikina's Battle of the Bands! Are you ready to rock and roll this month end? 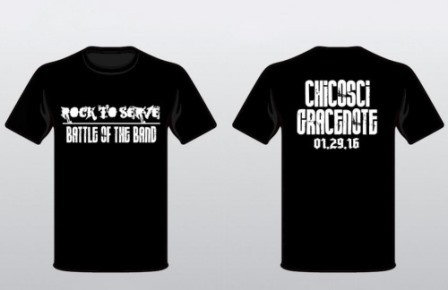 Well, prepare yourself for an ultimate battle of the band this January. 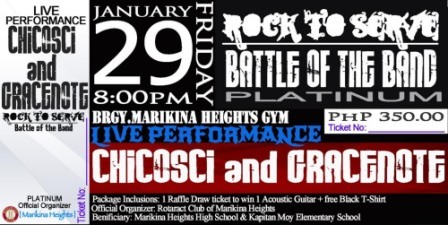 The Rotary Club of Marikina Heights a nonprofit organization under Rotary International will be having their ROCK TO SERVE – Battle of the Bands event. With live performance of premier bands in the country, CHICOSCI & GRACENOTE. This event will be on 29th of January 2016. This Project initiated by the Young Professional individuals who are social community based advocates. Under the leadership of Mark Frias Embino. This project aims to spare sports materials to 2 chosen schools in Marikina which are Marikina Heights High School MAPEH Department and Kapitan Moy Elementary School Sports Club. We believe that this event will provide a great opportunity for the chosen beneficiaries to foster sports development in terms of competitiveness and competencies.